Take an industrial level of fuzz with you wherever you play. 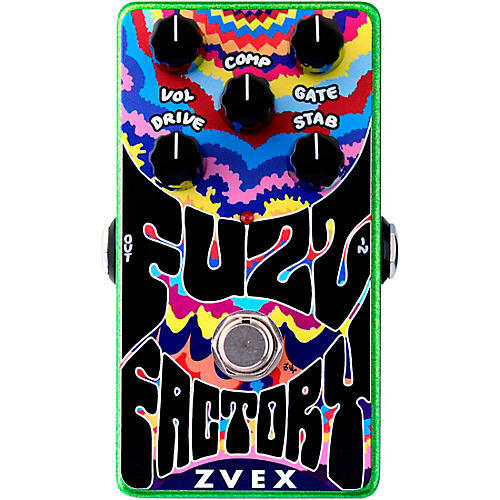 The ZVex Vertical Fuzz Factory fuzz effects pedal is packed with knobs that let you control everything from tight, radically fuzzy sounds that gate off instantly when you stop playing, to inter-modulating oscillations that fight for control of your guitar as your notes decay, to shortwave radio sounds, ripping velcro and octave-like fuzz. Dimensions: 4.31" x 2.625" x 2"